See your tennis game as you never have before. See what it takes to improve consistency and performance on the court. 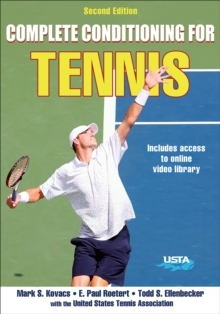 Tennis Anatomy will show you how to ace the competition by increasing strength, speed, and agility for more powerful serves and more accurate shots. 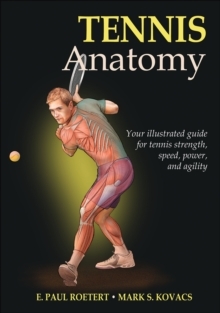 Tennis Anatomy includes more than 72 of the most effective exercises, each with step-by-step descriptions and full-color anatomical illustrations highlighting muscles in action.Tennis Anatomy goes beyond exercises by placing you on the baseline, at the net, and on the service line. Illustrations of the active muscles for forehands, backhands, volleys, and serves show you how each exercise is fundamentally linked to tennis performance.You'll also learn how exercises can be modified to target specific areas, improve your skills, and minimize common tennis injuries. Best of all, you'll learn how to put it all together to develop a training program based on your individual needs and goals.Whether you're a serve and volleyer, baseliner, or all-court player, Tennis Anatomy will ensure that you step onto the court ready to dominate any opponent.